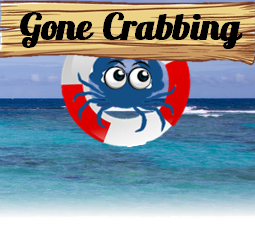 For most fishing and wildlife departments in the United States, recreational crabbing has limits on how many crabs you can keep. Some limits are measured in bushels. Hard crabs are almost always sold by the dozen or by the bushel. How do you know how many crabs fit in a bushel? This article aims to explain exactly that. The following table details roughly how many crabs are in a bushel compared to the size of the individual crab inside of the bushel. Just as a quick reference, Dungeness crabs are on average about 8 inches across the carapace when fully grown so a bushel full of Dungeness crabs has about 5 dozen of them. As implied by the above table, it’s pretty obvious that the number of crabs that can fit into a bushel depends on the size of the crabs. The bigger the crabs, the less will fit into a bushel and the inverse is also true. A rule of thumb is: the top of the bushel basket must fit in place (i.e. the two extensions on the lid must fit into the wire handles of the basket) without distorting its shape. By using this rule, you will adhere to the rules and regulations in your local area. Let’s say you are setting up for a party and need to buy lots of crabs to feed your guests. Sellers usually sell by the bushel, by the half bushel, or by the dozen. Estimate how many crabs you want each person to eat and work your way backwards to figure out how many bushels you will need to buy. For instance, there are 10 people at your party. Each person will have 6 crabs. That requires 60 crabs total. Referring to the table, you will need to buy 1 bushel of crab regardless of the size of the crab. This site gave me a lot of information. It is great. Southern Marylanders do not decide how many crabs people are going to eat. People pitch in and eat until your done. At least where I come from in Chuck County. Last week I caught a 8″ point to point Blue Crab. What is the largest Blue crab caught in Connecticut?